That beautiful piece of furniture pictured above, is but a mere taste of the sublime nursery pieces available from this incredible company. It’s positively bursting with the most divine Italian-crafted furniture, luscious textiles and unparalleled toys. Prepare to have your mind blown as we take you to Hugs Factory. While trends come and go, there’s something to be said for classic style, genuine craftsmanship and simple beauty. And Italy’s Hugs Factory has it all in spades. Families who consider themselves fashion-conscious, and classically influenced will adore Hugs Factory. It’s the perfect place to source heirloom pieces that will not only stand the test of time through their craftsmanship, but due to their classic design. And this is one brand that dads will appreciate, both for the clean style and the ingenuity of many of the pieces – but more on that later. 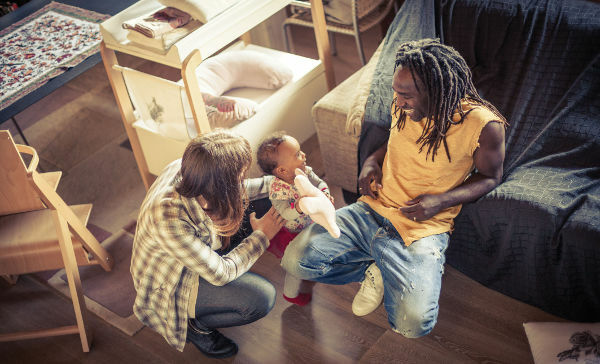 The huge collection of furniture, toys, clothing and equipment is designed to give parents a haven to source everything needed to make their lives easier, and make their children feel special. And there’s no need to compromise your social conscience, as the Hugs Factory range is eco-friendly, and crafted from ethically-sourced materials. Hugs Factory certainly isn’t a new kid on the block, with the company coming to fruition in 1975. In its formative years, Hugs Factory supplied leading retailers in Europe and the US with its own brand products, and that relationship continues to this day. But the brand has also expanded to supply its unique wares to even more countries. 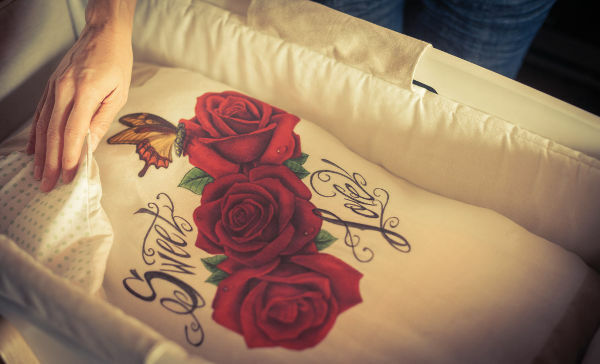 The textiles created by Hugs Factory are the epitome of luxury. 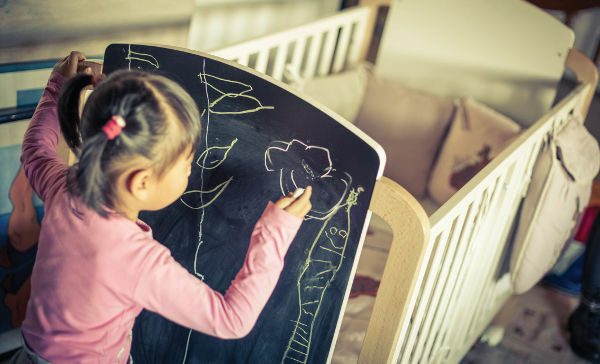 Materials like organic cotton and linen not only provide a softness and comfort for babies and children, but are also free from common household toxins – giving parents peace of mind. Besides all of the feel-good factors, the designs are stunning. Left-of-centre, unique and sure to please both parents, the styling is bang on trend. 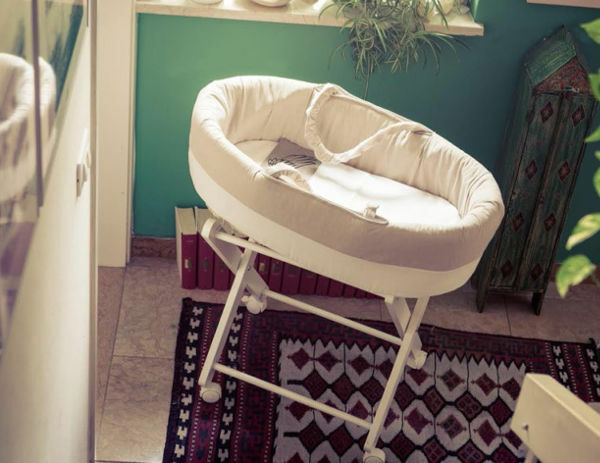 Naturally finished and styled to remain relevant throughout the decades, the furniture, which includes cots, cradles and high chairs, is sturdy and free of toxins. Even more incredible is the ingenuity behind the pieces. 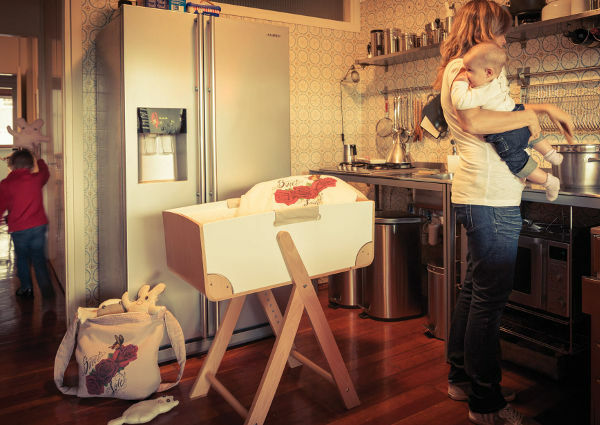 Take the Tribeca Cradle/High Chair – which starts out life as a cradle and transforms into a high chair. 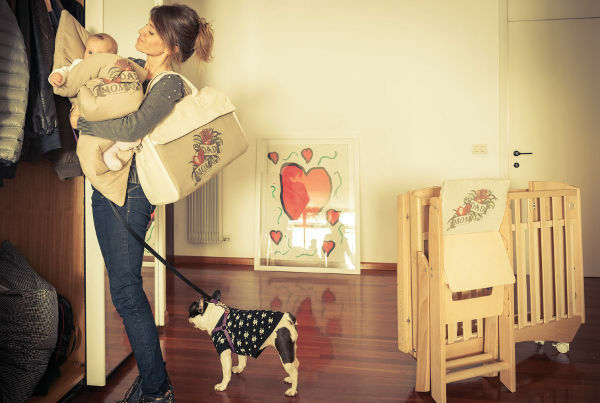 As gorgeous as cradles are, we all know babies outgrow them quickly, so this innovative design is pure genius. 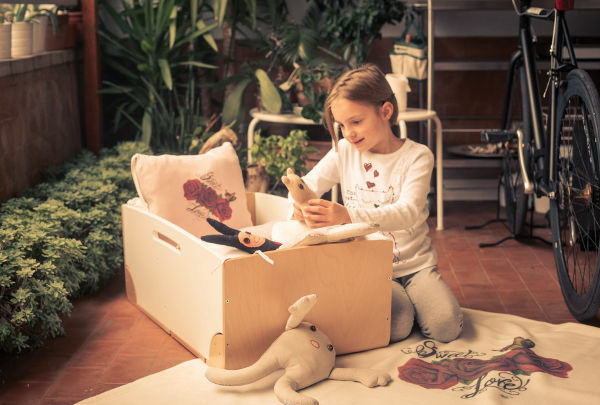 And it just gets better, because the cradle can also transform into a toy box or chair. All this for $880. If you’re a Moses basket lover, you’ll be floored by the stunning Hudson. Plush and stylish it can be used with or without the stand. The basket will retail for $275, and the stand for $197. A brilliant space-saver is the Williamsburg Cot ($870). 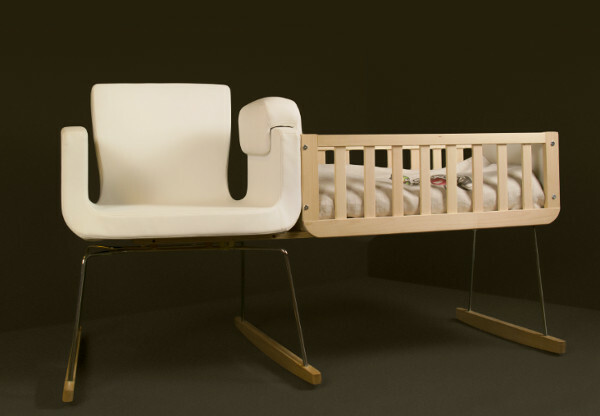 The Italian-made beauty starts life as a compact cradle, but can be extended into a full-sized cot. 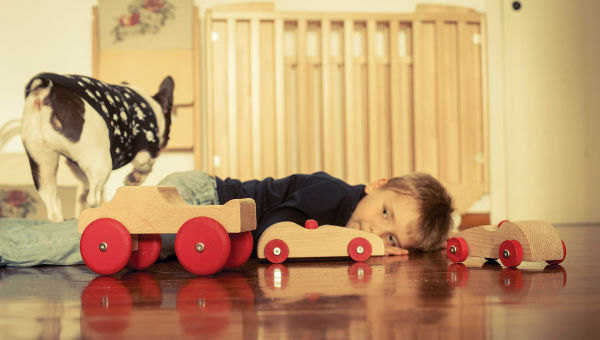 The toys draw on classic favourites with modern styling, like beautiful wooden cars and soft puppets. Hugs Factory is looking forward to stocking its products in Australia very soon, and we will be sure to let you know the minute it happens! 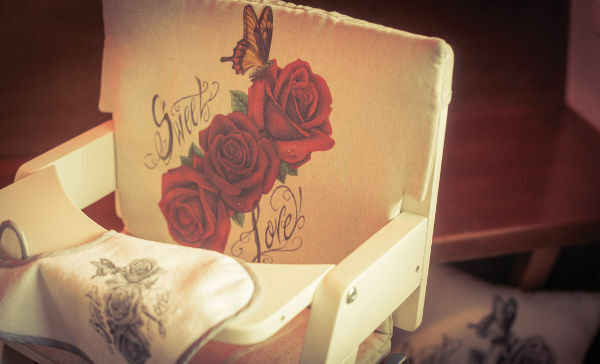 The cots will be available locally in 2015, as will the gorgeous chair and cradle combination at the very top of the post. In the meantime you can register your interest by pre-ordering items from the Hugs Factory range. 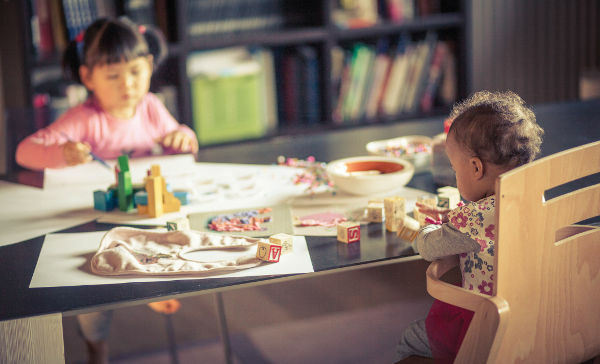 And there is a 30 per cent discount if you happen to pre-order a high chair, changing table or storage unit before 30 November, 2014. Just contact Hugs Factory directly to take advantage of this offer.